It’s Monster Hunter, but cute and without any of the skill-based action... And you’re not a hunter. From Capcom, creators of the series where you kill the crap out of creatures that outweigh you 50 to 1 (if you’re lucky), comes Monster Hunter Stories, an RPG that focuses on a different side of the Monster Hunter world. In the game you play the part of a male or female “Monster Rider”—people who form bonds with the various monsters of the world and fight alongside them rather than slaughter them wholesale for survival. If the Hunters of Monster Hunter are people who seek to tame the wild for the progress of civilization and technology, then the Riders are druids who seek to live in harmony with nature. As the protagonist, you are a young fledgling rider who ventures out of his village to see the world, whereupon you become mixed up in world-altering events—basically your standard JRPG plot, but set with a Monster Hunter background. 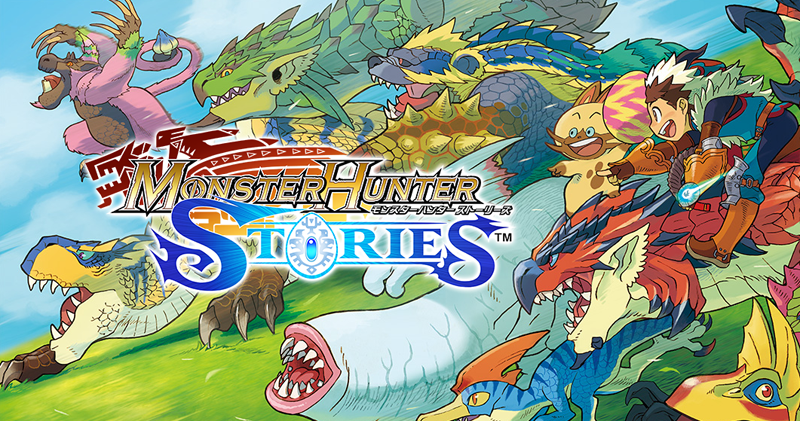 Where the Monster Hunter games have generally been a struggle between man and the overpowering forces of nature, Monster Hunter Stories appears to look at the social structure of the Monster Hunter world itself. The combat system in the game, rather than being action-based as one might expect given the series’ reputation for punishing action, is turn-based and features a rock-scissors-paper-esque advantage-disadvantage system. By finding monster eggs and hatching them, you can also collect various companion monsters to help you in battle. Monster Hunter Stories is scheduled for release in Japan on the 3DS in 2016. No word on an international release.